Livi Basics 2 ply 400 Sheet toilet tissue is individually wrapped for hygiene, with softness & value from long roll convenience. 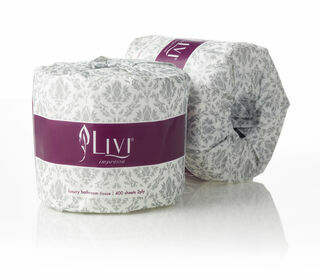 Livi Essentials Premium Toilet Tissue 2ply 220sh 6 pack. Sheet size 100x110mm. Roll diameter 105mm. 14.5gsm. Embossed. 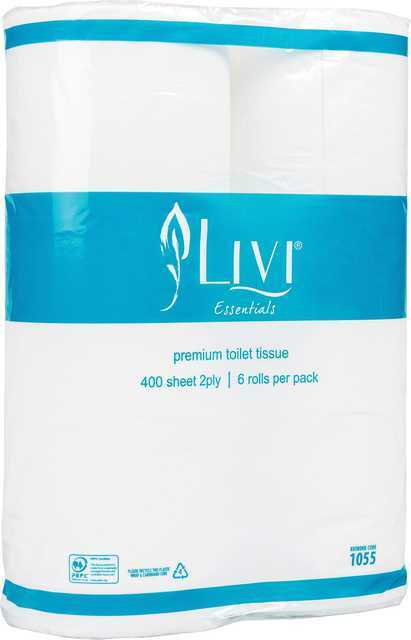 Livi Essentials Premium Toilet Tissue 2ply 400sheet 6 pack. Sheets size: 100x110mm. Roll diameter 112mm. 14.5gsm. Embossed. 2ply 400 sheets per roll, light embossing, soft and strong.